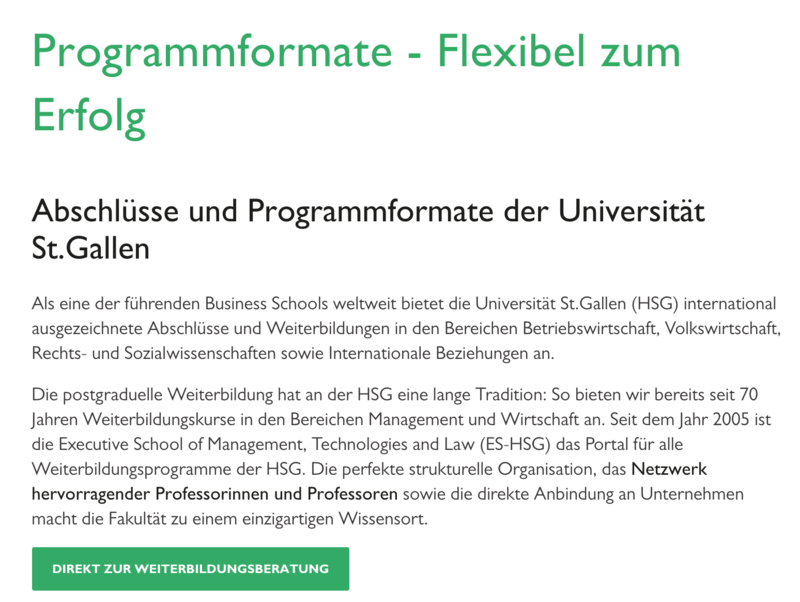 The Executive School is the executive education organisation of the University of St.Gallen (HSG). It acts as a portal for all further education at the HSG, with over 100 different programmes. 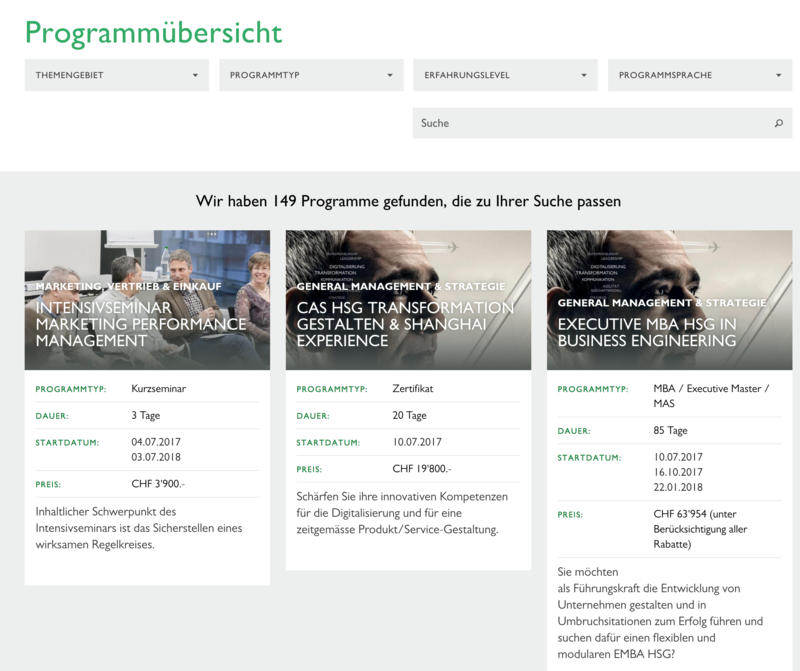 The Executive School’s website (www.es.unisg.ch) was to be completely renewed. Those interested in further education should enjoy a more individualised system than ever, allowing them to quickly and easily find the ideal educational course. Interactive workshops with the client allowed us to identify the requirements for the new website. Taking into account the corporate identity and modern patterns of interaction, we conceived a state-of-the-art website. The Executive School represents exceptional educational opportunities, and the website is designed to reflect this. The result is a website that makes it easy for visitors to navigate the complex range of courses, thanks to a selection of different filter options.